BlackBerry's been in the dumps for the past few years due to many reasons. Enterprise customers began flocking to DIY initiatives, dropping orders to instead allow employees to bring their own devices. BlackBerry 10 was a failure – as were the flagship smartphones that launched along with it. And the company has seen a lot of shakeup among its executive ranks. 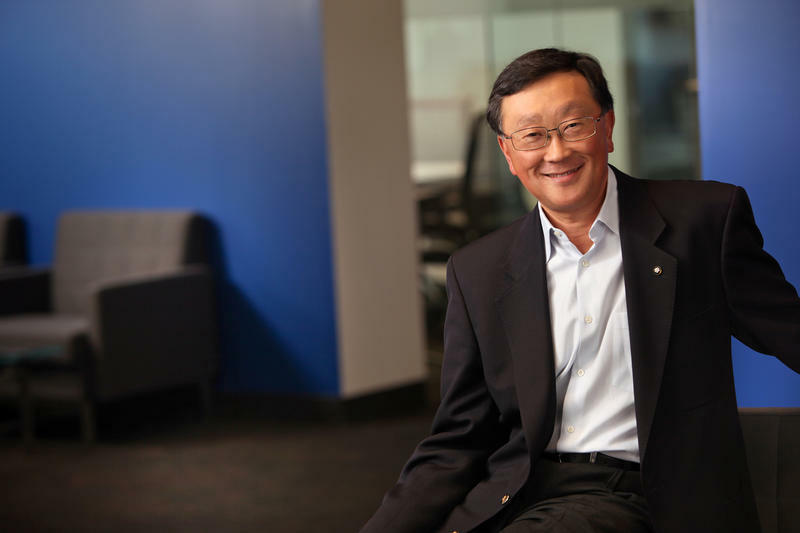 Current CEO John Chen recently discussed the future of BlackBerry with the Financial Times, and while he sees a lot of positive potential, he sees just as much risk. Chen's strategy has been to return the company's focus back to serving enterprise customers, instead of putting much of its focus on the consumer market, as former CEO Thorsten Heins had done. "It's all about execution now," he told the Financial Times, at the same time warning that there's a "50:50 chance" for success; the other option is, of course, failure. One of Chen's other strategies is to focus on emerging markets, where its phones have typically been successful. However, the company will face increased competition from Android, especially as Lenovo begins to ramp up Motorola's brand in some markets and Nokia introduces the low-cost Android-powered Nokia X. A partnership with Foxconn could help BlackBerry increase the output of low-cost handsets, but margins remain a big question at that level. There's not a lot of wiggle room to make money on budget phones as it is, and Chen has previously confirmed that BlackBerry will share its profit margins with Foxconn. With either success or failure on the horizon, Chen told the Financial Times that it's most important to "stay positive" as the company tries to fight off competition, spur growth, and return to financial stability.